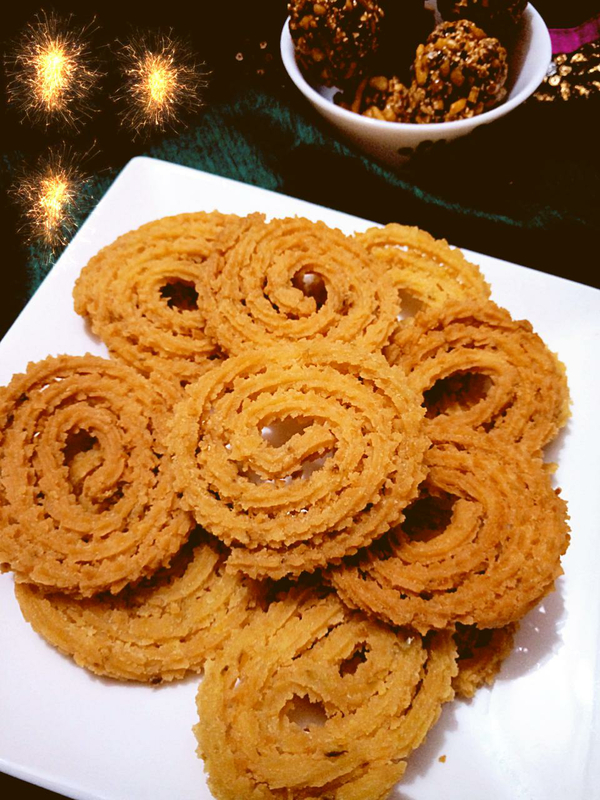 Moong Dal Chakli- super easy, quick snack and the taste is simply awesome. Do try it to know better and let me know if you feel the same way as my family did. 1.Put 3 cups of maida in a towel and tie it tight and steam it in a cooker for 20 mins. 2. When cooled, roll it with a rolling pin. 3. Sieve it and keep it aside to avoid lumps later. 4. Pressure cook 1 cup moong dal with 2 cups of water. Grind the moong dal to a fine paste and add salt to taste and green chilli paste . 5. Now mix moong dal puree with maida and make a dough. 6. Finally put it the Chakli mould and deep fry until golden brown on low/ medium flame. Enjoy with your evening tea.